Like my book? Become an affiliate. Get paid for each sale. Did you find my ebook useful? If so, why don't you consider becoming an affiliate so that every time someone you refer buys my ebook, you'll get 50% of the profits. 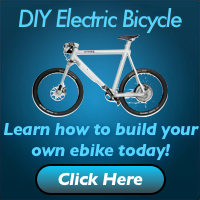 Everyday more and more people are using my ebook to help them learn to build their own ebikes, and you could be making money by referring many of them. To get started, simply join my affiliate program now ». You’ll get an affiliate link that you can use on your website, blog, newsletters, Facebook page, Twitter, etc. Enroll in my affiliate program at E-junkie.com. Click on the “Affiliates” tab in the top right corner of the window. Click on “affiliate admin” in the blue horizontal bar. Click on “Get affiliate code” on the “Manage Your Affiliate Account” screen. Select my ebook from the dropdown menu (it might be already selected). Click on the “Get Affiliate Code” button. On the next screen, you should see an orange box with some HTML code (it might look like weird, jumbled text). Highlight all of the code and paste it on your site where HTML is accepted. Simply right click (Control-click on a Mac) on any of the images and select “Save Image As” to your computer. You can insert the image into your site wherever you’d like it. Attach your affiliate link to the image so people can click the image and be taken to the sales page. Do this by first extracting your affiliate link as described in Step #9 above. Then, link it to the image. The base commission per customer referred to our site is 50% of the profits from each customer referred by you. There is no maximum commission per month. As many customers as you refer, you receive 50% of the profits earned via those customers. Commission payments are to be paid via Paypal during the first week of each calendar month. The cost of any refunds will be subtracted from the affiliates' commission that month. Affiliates will not be rewarded any commission for a product that they themselves purchased. The above constitute the major rules of the affiliate program. Below are the terms and conditions of the affiliate program which seek to address any other issues. You should familiarize yourself with the terms and conditions. By signing up for the affiliate program, you acknowledge that you have read the terms and conditions, understand, and agree with them. 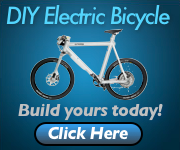 It is understood that you will introduce The Ultimate Do-It-Yourself Ebike Guide to your current and prospective customers and will comply with all laws as well those that govern email marketing and anti-spam laws. We reserve the right to accept or reject any prospective customers and will pay you a commission per customer referred using your affiliate code according to the designated payment schedule. 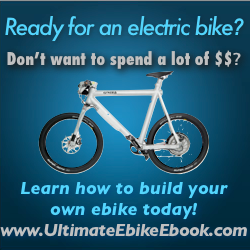 Either you or The Ultimate Do-It-Yourself Ebike Guide may terminate the Affiliate relationship at any time. You are only eligible to earn Affiliate payments during your time as an approved Affiliate. The Ultimate Do-It-Yourself Ebike Guide may change the program or service policies and operating procedures at any time. This Affiliate relationship is one of independent contractors. We will not be liable for indirect, special or consequential damages arising in connection with this program and our aggregate liability arising with respect to this program will not exceed the total referral fees paid or payable to you. We make no express or implied warranties or representations with respect to the program. Join my Affiliate Program today!